Earlier this year it was announced that the governments of Zambia and Zimbabwe had signed a joint Memorandum of Understanding resurrecting the long proposed Batoka Hydro Power Station development. The construction of a hydroelectric facility in the Batoka Gorge on the Zambezi River below the Victoria Falls was originally proposed in 1993. Proposals at the time showed that the resulting lake would flood a section of the Zambezi River for some 50 kilometres below the Victoria Falls, drowning one of the most highly regarded sections of commercially operated white-water rafting in the world under its waters. The announcement came soon after Zimbabwe had agreed payment of over $70 million to Zambia in settlement of outstanding debts relating to the division and sale of joint assets following the break up of the short-lived Federation of Rhodesia and Nyasaland, which united what is now Zambia, Zimbabwe and Malawi (the Federation was established in 1953 and lasted only ten years). The settlement of this debt had, until now, been a stumbling block to the development of the Batoka Gorge Dam project. The project proposes to develop a hydroelectric dam facility in the Batoka Gorge at the Moemba Falls, some 50 kilometres downstream from the Victoria Falls. 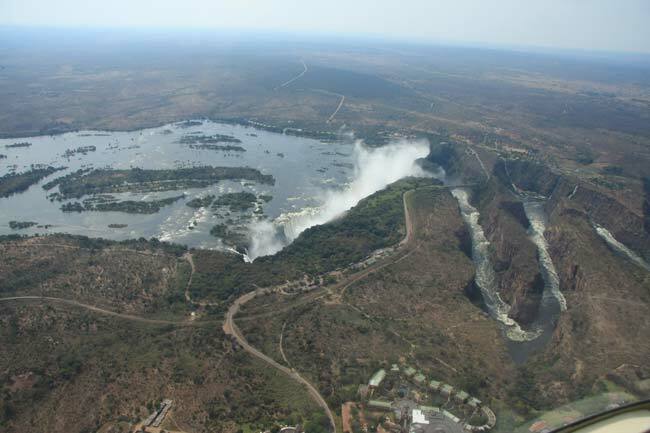 Previous feasibility studies have suggested a 196 metre high dam would flood the river and gorges upstream almost to the foot of the Victoria Falls, producing a lake some 50 kilometres in length. The development potentially threatens to flood the river rapids currently used for white-water rafting day and multi-day trips, widely recognised as the best commercially operated white-water rapids in the world and a major tourism attraction for Victoria Falls in Zimbabwe and Livingstone in Zambia. The Batoka Gorge itself is listed as an Important Bird Area by Birdlife International on the basis of its conservation importance. 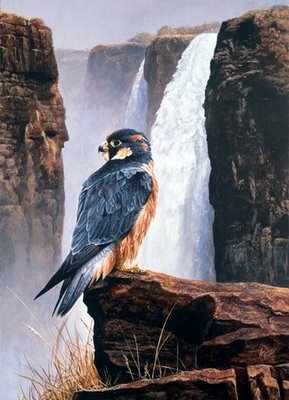 The taita falcon, a small, agile and endangered species breeds here, as do many other rare birds of prey, such as Verraux’s eagle (previously know as the black eagle), lanner and peregrine falcon. However Zimbabwe suffers from a chronic power deficit and desperately needs to boost power generating facilities within the country. It currently imports approximately a third of its needs from neighbouring countries, and a wider power deficit is expected to grow across the region in the next few years, affecting the long term availability of these energy imports. The proposed hydro power station will supply 1,650 MW of power, to be shared equally between the two countries. It is also believed that the project could also enhance generating capacity at Kariba power station, downstream of the Batoka Gorge Dam site, by a further 300 MW. However there are concerns that local communities will see little of the benefits of the development, with fears of negative impacts on long term tourism and employment opportunities. It is thought that the narrow deep-water nature of the resulting lake will not sustain large fish populations, as has happened with the wide and shallow Lake Kariba, where a thriving fishing industry has developed. The local mains electricity network is also unlikely to be developed, and it is thought many rural communities will continue to be isolated from the national electrical supply. The Zambezi River Authority (ZRA), a joint body representing the two countries, is currently pressing ahead with the commissioning of feasibility studies for the environmental and social impact of the 1,600-MW Batoka Gorge project and has applied for US$3 billion of World Bank funding for the project. Read opinions and comments from other readers, just below this form. Please scroll down. Click on the headlines below to read the full story.